Sub-Saharan Africa is no longer a troubled ‘dark continent.’ Most of its constituent countries are now enjoying significant economic growth and political progress. The new Africa has begun to banish the miseries of the past, and appears ready to play an important role in world affairs. Thanks to shifts in leadership and governance, an African Renaissance could be at hand. Yet the road ahead is not without obstacles. 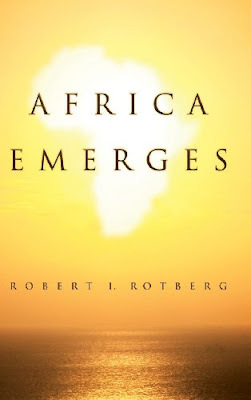 As a world-renowned expert on African affairs, Robert Rotberg, expertly shows, Africa today may be poised to deliver real rewards to its long suffering citizens but it faces critical new crises as well as abundant new opportunities. Africa Emerges draws on a wealth of empirical data to explore the key challenges in Africa must overcome in the coming decades. 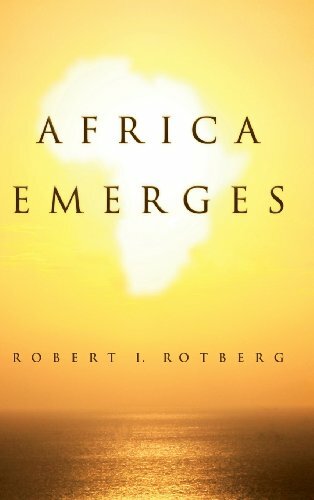 From peacekeeping to health and disease, from energy needs, to education, this illuminating analysis diagnoses the remaining impediments Africa will need to surmount if it is to emerge in 2050 as a prosperous, peaceful, dynamic collection of robust large and small nations. Africa Emerges offers an unparalleled guide for all those interested in the dynamics of modern Africa’s political, economic, and social development.